Orthodoxy in America has a complex history and a complicated present. Orthodoxy in America has a complex history and a complicated present. In the 18th Century, the great Orthodox Christian missionary work which began with Pentecost in Jerusalem, so many centuries before, finally crossed from the continent of Euro-Asia into North America. The first missionaries traveled with the explorers Vitus Bering and Alexei Chirikov, who formally claimed Alaska and the Aleutian Islands in 1741. For the next fifty years, together with the exploration and economic development of this new outpost of the Russian Empire, the first attempts were made to bring the Orthodox Faith to the natives of that region (the Aleuts, the Athabascan Indians, the Tlingits, and the Eskimos). The first formal Orthodox Christian Mission to America arrived on September 24, 1794, in Kodiak. 1867 Alaska purchased by United States from Russia. 1870 Diocese of the Aleutian Islands and Alaska formed by the Church of Russia with Bp. John (Mitropolsky) as ruling hierarch. 1890-1914 Greek Immigration to USA: widespread unemployment and economic problems led to migrations to the US of 350,000 Greeks, one-fifth of the total population. 1892 Archim. Raphael (Hawaweeny) arrives in America. 1898 Tikhon (Belavin) becomes Bishop of the Aleutians and Alaska; American annexation of Hawaii. 1900 Name of Russian mission diocese changed from the Aleutian Islands and Alaska to the Aleutian Islands and North America, thus claiming an expansion its territorial boundaries. 1905 Bp. Tikhon (Belavin) raised to rank of archbishop; seminary opened in Minneapolis; Russian see transferred to New York. 1907 1st All-American Sobor held in Mayfield, PA, at which name of the Russian mission was declared to be The Russian Orthodox Greek-Catholic Church in North America under the Hierarchy of the Russian Church; Abp. Tikhon (Belavin) returns to Russia and is succeeded by Platon Rozhdestvensky. 1914 Abp. Platon (Rozhdestvensky) recalled to Russia and made bishop of Kishinev, after having received 72 communities (mainly ex-Uniate Carpatho-Russians) into Orthodoxy during his rule. 1915 Death of Raphael of Brooklyn; Abp. Evdokim (Meschersky) succeeds Platon. 1916 Consecration of Philip (Stavitsky) of Sitka; Alexander (Nemolovsky) appointed Bishop of Canada with his see in Winnipeg. 1917 Abp. Tikhon (Belavin) elected Patriarch of Moscow and All Russia at the All Russian Sobor of 1917-1918. 1919 2nd All-American Sobor meets in Cleveland, electing Alexander (Nemolovsky) as its new diocesan bishop, pending approval from Moscow (which never comes). 1921 34 ROCOR bishops meet in synod in Karlovtsy, Serbia, including Metr. Platon (Rozhdestvensky), primate of the Russian Metropolia. 1922 Russian Metropolia convenes 3rd All-American Sobor in Pittsburgh, Pennsylvania. 1926 Metr. Platon (Rozhdestvensky) of the Metropolia breaks ties with ROCOR synod. 1927 ROCOR synod sends epistle to American parishes suspending Platon and his clergy; founding of American Orthodox Catholic Church by the Russian Metropolia under Aftimios Ofiesh; founding of Federated Russian Orthodox Clubs (FROC) in Pittsburgh. 1933 Platon (Rozhdestvensky) refuses to pledge loyalty to Moscow, which declares Metropolia to be in schism and establishes Exarchate of Moscow on American soil. 1934 Death of Platon (Rozhdestvensky); Theophilus (Pashkovsky) of San Francisco elected primate of Metropolia at 5th All-American Sobor in Cleveland, Ohio. 1937 6th All-American Sobor of Metropolia declares itself to report to ROCOR in matters of faith. 1938 Carpatho-Russian diocese established by Constantinople with second wave of Uniat returns to Orthodoxy. 1946 7th All-American Sobor of Russian Metropolia breaks ties with ROCOR. 1950 ROCOR moves headquarters to New York; Leonty (Turkevitch) becomes primate of Metropolia at 8th All-American Sobor in New York City. 1963 Beginning of rapprochement between Metropolia and Moscow Patiarchate; arguing that the Metropolia's 1924 declaration of "temporary self-government" amounted to a canonical declaration of autocephaly, Toward an American Orthodox Church published by St. Vladimir's professor Alexander Bogolepov, galvanizing the Metropolia to seek autocephaly. 1969 Official autocephaly meetings of Metropolia with Moscow Patriarchate take place on New York City, Tokyo and Geneva. 1981 OCA primatial see transferred from New York to Washington. 1989 Glorification in Russia of Tikhon of Moscow. 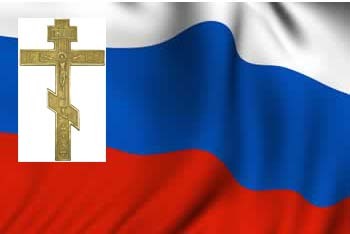 2006 Fourth All-Diaspora Council of the ROCOR votes to restore full communion with Moscow Patriarchate. 2007 Restoration of full communion between ROCOR and Moscow Patriarchate with incorporation of the ROCOR as a semi-autonomous entity of the patriarchate. 2008 Metr. Herman (Swaiko) retired by OCA amidst financial scandal; Jonah (Paffhausen) elected primate of OCA. 1960 Founding of Standing Conference of the Canonical Orthodox Bishops in the Americas (SCOBA). 1965 SCOBA appeals to mother churches to allow concrete steps to be taken toward American Orthodox unity. 1994 Orthodox Christian Mission Center (OCMC) becomes SCOBA agency and changes to its current name. The ROCOR and the OCA have a complicated history of cooperation, rivalry, and sometimes outright hostility. These two jurisdictions, the Russian Orthodox Church Outside Russia (ROCOR) and the Orthodox Church in America (OCA), both have their origins in the Church of Russia (a.k.a. the Moscow Patriarchate or MP), and their histories as clearly distinct and identifiable entities both stem from the Revolution in Russia in the early 20th century. Since the election of Metropolitan Laurus (Skurla) of New York as First Hierarch of the ROCOR and that body's subsequent ongoing rapprochement with Moscow, signs have appeared of better relations between the OCA and ROCOR. With the reconciliation of the ROCOR with the Moscow Patriarchate in 2007, the ROCOR and the OCA have resumed full communion and clergy of both jurisdictions have concelebrated in multiple areas; one area of note is Seattle, where clergy and communicants of thirteen area parishes concelebrated within a week of the canonical reunification. Orthodox American Churches and National Council of Churches (NCC).